This BackBend practice is a secret practice taught in south India. Gabe (founder of GabeYogAcademy) learned it with master Vinay Kumar through private instruction. You will learn a sun salutation practice that will improve your shoulder function and lengthen your hamstrings. You will also discover simple targeted poses that will open your lower spine. Included is a Yin Yoga practice that will improve your joints and your connective tissue, enhancing this BackBend practice. You will be surprised to discover that not only do you not feel strain the next day, within 7 days of practice, you will see tremendous improvements in your spine function and your yoga practice. "I can't believe how GOOD my back feels!" Sabine from Florida, USA Unlike common perception, backbends are about the legs and the arms. 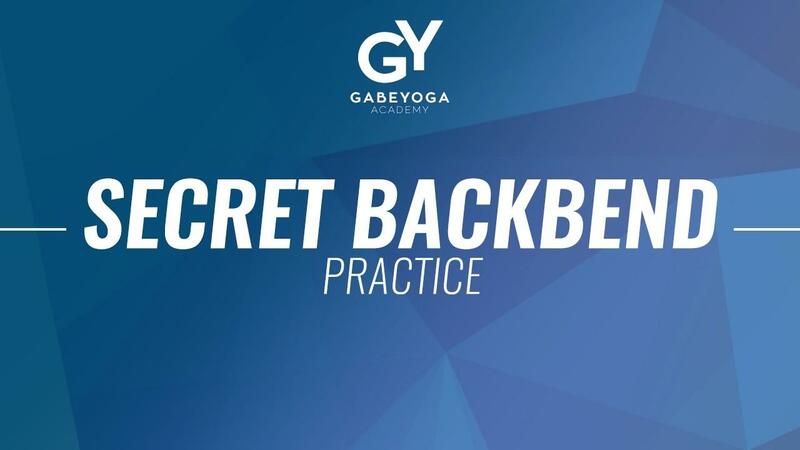 After studying with Mysore, India backbend master Vinay Kumar, Gabe has been sharing this simple yet powerful practice that goes beyond preparing you for your favorite backbend poses. Learn why it is impossible to open the upper spine, and the power of targeted practice. This BackBend practice is a secret practice taught in south India. Gabe (founder of GabeYogAcademy) learned it with master Vinay Kumar through private instruction. You will learn a sun salutation practice that will improve your shoulder function and lengthen your hamstrings. You will also discover simple targeted poses that will open your lower spine. Included is a Yin Yoga practice that will improve your joints and your connective tissue, enhancing this BackBend practice. You will be surprised to discover that not only do you not feel strain the next day, within 7 days of practice, you will see tremendous improvements in your spine function and your yoga practice.